Inaugural President Bill Knight in opening the meeting welcomed Guests, Members, Partners and Children; proposed the Toast to Australia, asked Lee to lead the singing of Waltzing Matilda and David Oxley said Rotary Grace. Bill then brought to everyone’s attention the Club’s original framed Charter which was on display. Bill introduced Brian Blakemore, tonight’s Sergeant, and his partner Liz; and Ken Martin, Corporal for the night and his partner Rose, both being Past Presidents and charter members along with PP Stephen Mewett and his partner Jenny. 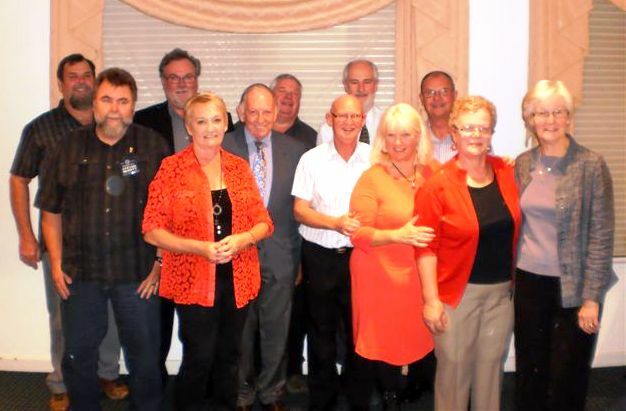 Other charter members were Delys Gebert, Alan Pritchard, Carol Deuter, Judy Jefferies, Syd Ness and Bill Moss. Bill then introduced Past Presidents Joan Thompson, David Weir and Kate Payne, along with long term past members Colin Steer and John Suermondt. 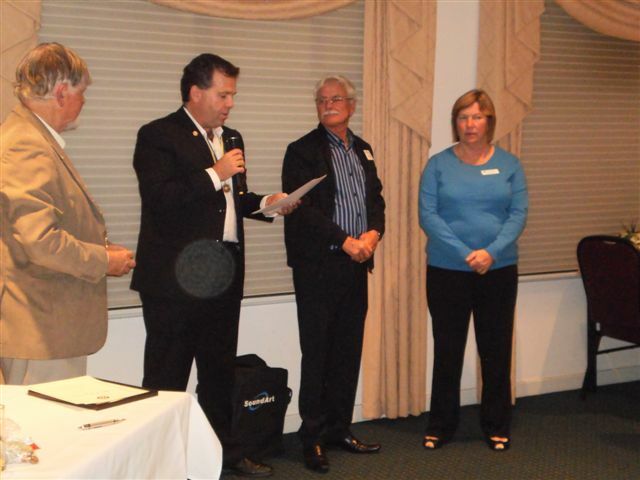 Finally he introduced and acknowledged the Rotarians who formed the RC of Mandurah City establishment committee – John Perry and Bob Crabb. 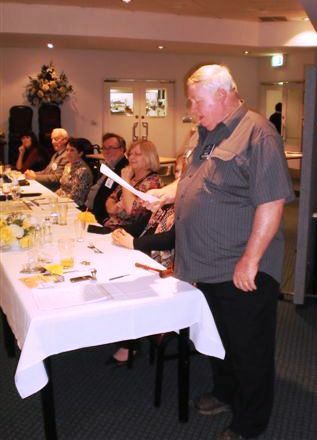 PP Bob Crabb (pictured) explained the journey our Club had followed from the time in 1992 when DG Vern Haley and his board felt that the Mandurah population had increased to a point where a third Rotary Club might be chartered. 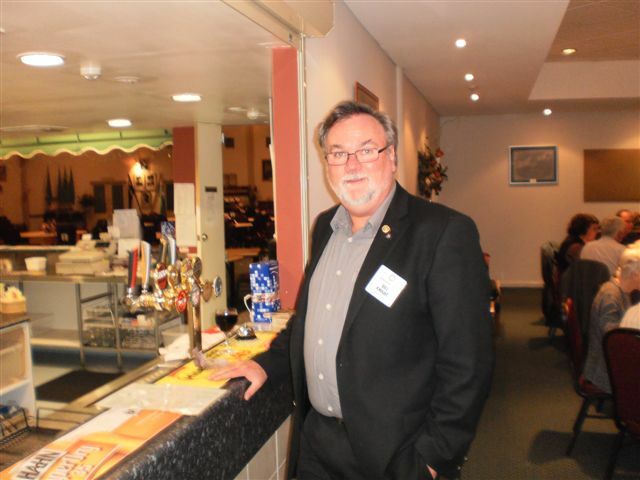 When the DG visited the Mandurah Club, Bob along with PP John Perry, PP Lance Rock and Rotarian Martin Rawlinson formed the committee to start recruiting possible members. He told of how Steve Mewett at first thought he was being accosted by the Mormons but quickly changed his mind and joined up. When Brian Blakemore was contacted his definite NO took only one day to change. The Committee considered that their prize catch was Bill Knight recently returned from a GSE tour. By November 1992 interest meetings were being held and by late January 1993 there were more than the required 25 members for a new Club to be chartered. The Club first met at the Sands Hotel owned by Joyce Lindsay one of the new members. The Charter date was set for the 19th April just before Bob and his wife Jan were to leave for Europe. 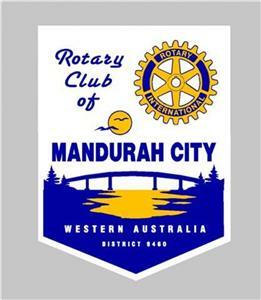 For the first year Mandurah the sponsor Club provided one of its members to attend each weekly meeting. The major fund raising program in the early days was called Radio Auction and it ran for several years making $10,000+ each year. Bob thanked Bill for his great contribution to the establishment and development of the Club and offered his congratulations on reaching our 20th and wished the Club all the best for the future. Sergeant Brian ably supported by his Corporal Ken quickly had the fines rolling in. For the joke contest David'scasino story just edged out Brian’s little Johnny story if the audience response can be the judge. For this special Anniversary occasion I would like to share with you the words our Founder Paul Harris addressed to the 1946 International Convention held in Atlanta City USA, the first Convention held after the War. Most appropriate for the evening was the Induction of our newest member Mike Job, formerly a Rotarian with the Northam Club. PP Andrew conducted the Induction and Pesident Colin presented Mike and Helen with their badges and Mike with the certificate of membership and a copy of the 4 way test. Members rose to express their welcome and appreciation. Mike nearly lost for words thanked everyone for their friendship and support. Spinner tonight was Chris and there were three rounds. The first round was won by Alex who under Dad’s urging took a bottle of white home for the Ralph’s. The second round was won by Diane who picked the right card with the $50 jackpot and the last round was won by PP John Perry who took home the bottle of red. Charter Members are pictured below. Bill brought the evening to a close with a comprehensive Vote of Thanks to all who had attended and contributed to the evening: to the current members making today’s contribution to Rotary; to the members of the Committee that established the Mandurah City Rotary Club; to all charter and past members and their partners and to individuals who had participated in the meeting. 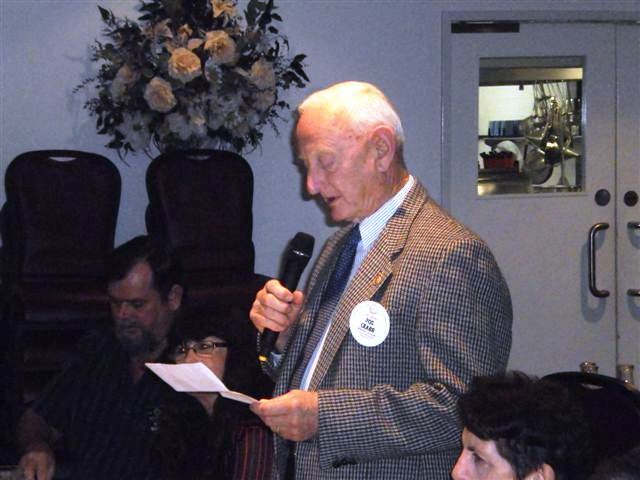 Bill particularly thanked Delys for all the help she had given in contacting Charter members. President Colin expressed the appreciation of the gathering to Bill for all the work he had done to make tonight the success it was.